There's actually a really nice seating area inside the bookstore (with reclaimed wood tables!!) And the wifi here is super fast! I actually have to be at UBC in a few hours. Le sigh ~ thankfully I discovered that there's a bus outside the bookstore that goes straight to UBC!! That way I don't have to take the Canada Line to Broadway City Hall! I really like Congee Noodle House. They don't have the best food, but I like how simple and unpretentious it is!! And the fact that it's really affordable! I bet my Dad would really like this place. I should take him here sometime. I told him about Congee Noodle House and he was like "Really, well how come I've never heard of it? It's probably not real Cantonese food." And I was like "It is, it's filled with old cantonese grandpas reading newspapers!! You can't get more legit than that!!" CNH has two locations, one on Kingsway in East Van, and this one on Broadway! This location is right in front of the 99 bus stop, so after my meal I hoped on the bus and went straight to school!! The rice rolls here are the kinds with the folds ~ legit Guangzhou style!! It tasted really good too!! The rice rolls were the perfect texture, bouncy, without being overly soft!! The shrimp gave it a lot of flavour, I didn't even need to use the sweet soy sauce on the side!! The congee itself was quite good!! It was super flavourful (probably from msg.) It wasn't too gloopy or watery. The chicken was surprisingly tasty as well, it tasted like salt baked chicken! It came in a huge bowl (that was almost overflowing) but I managed to finish it all! 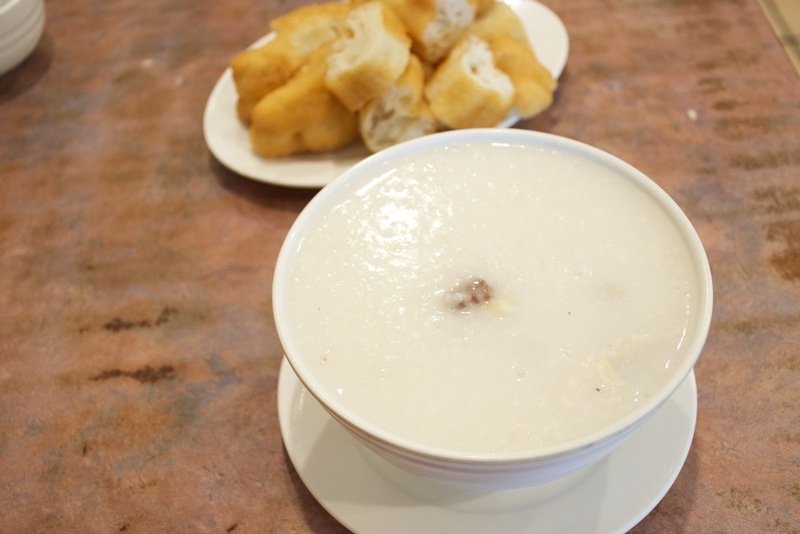 How can you have congee without some yo zha gui? This was okay, the doughnuts aren't freshly fried so they lose some of their crispiness. The inside was a bit too dense. But flavour wise, really good!! Omg the Vancouver SFU bookstore... I sometimes go there to write my papers because I just love the wooden tables, the lovely atmosphere, and the fast Wi-Fi. 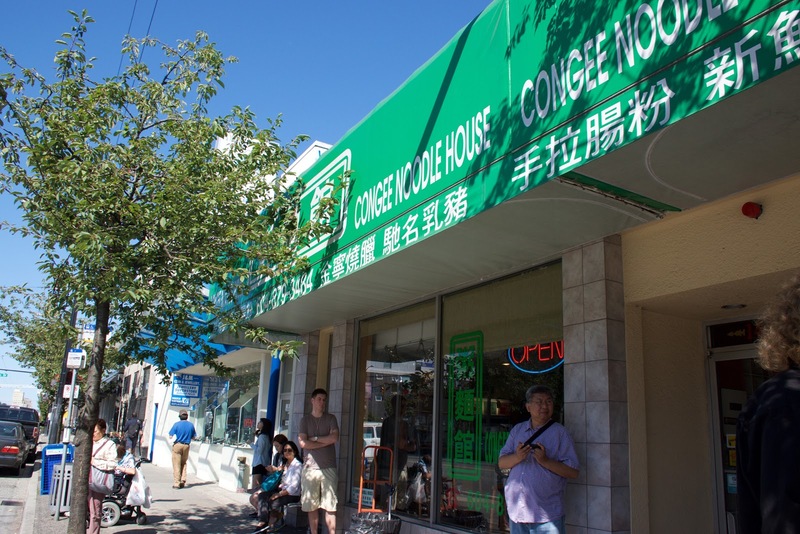 I used to visit Congee Noodle House after visiting the Celebration of Light because they would be one of the last restaurants to remain open, and although I haven't been there for years, I found the food to be decent and inexpensive. 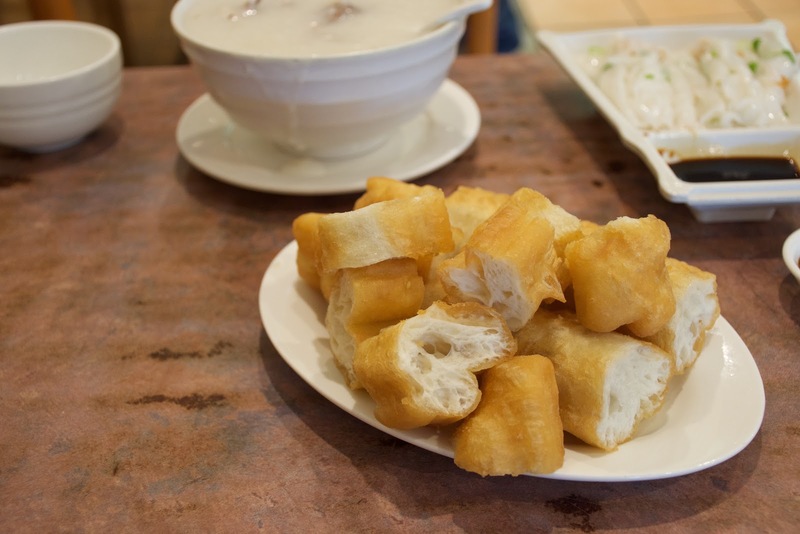 Looking at all those photos of Chinese Donuts reminds me of 老油条 - we go there regularly now! I know just enough Chinese to be able to order from a Chinese menu and have a casual online chat in Chinese... and that's about it! Your Dad has *never* heard of CNH ?!? I find that shocking. Every Chinese person in Vancouver knows CNH, no ? 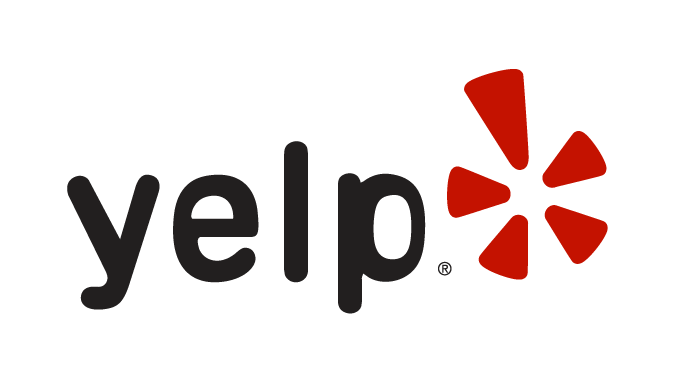 Do you know if the new eatery (Congee Noodle Delight) on the ground floor of Int'l Village Mall is related to them ? 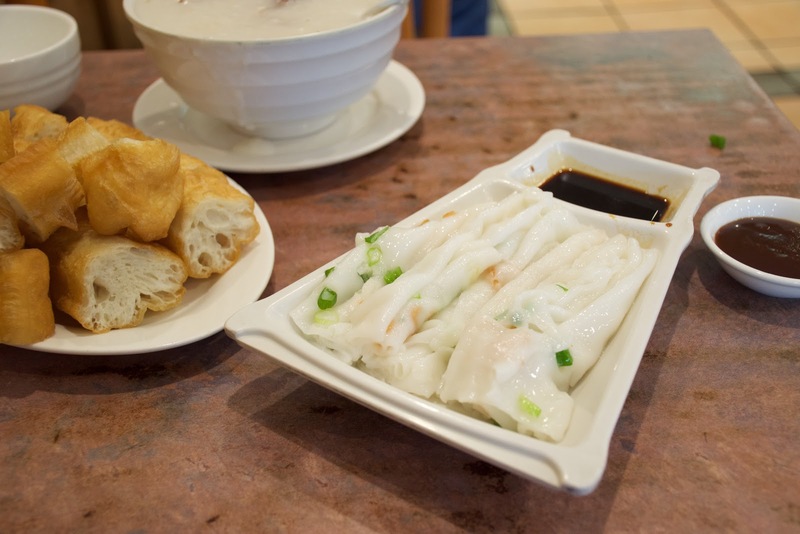 I have no idea, but judging from the photos, Congee Noodle Delight seems pretty decent!